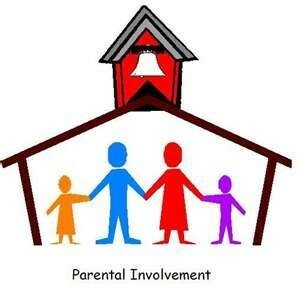 We talked about the importance of parent involvement and school fundraisers in our “Importance of Parent Involvement” article. We had a school from Miami Beach sent us an email with their success. I called them up and wanted to write a post about it. The decided to plan a Vintage Prom. Wear a dress from any era – but encouraged dragging out a prom dress from your past if you could still fit into it. During the dance they had an auction. The auction consisted of items that were donated to the school from local companies and amusement parks as well as from the parents who attend the school. They asked all of the grades to come up with class baskets to be auctioned off. For example, one class selected Disneyworld as their theme. In the basket were 4 – two day passes to Disneyworld, a hotel stay and a ride to and from Disneyworld from a local Miami Beach Limo Rental company. They explained that this basket and ones similar to it created bidding wars and went for well over the true value of the basket. Since all of the items were donated, all profits went to the school. They also created a jog-a-thon to raise money. It was Star Wars theme complete with all of the Star Wars characters jogging along with the kids and encouraging them to run as many laps as possible in 30 mins. They created an online fundraising page that allowed friends and family to sign up to pledge a fixed amount or per lap. Parents used the power of social media to post the pledge pages on Facebook. They reported that by using that the power of social media the pledges increased dramatically from the previous year. Old school mates and family that wasn’t immediate contributed and probably wouldn’t even have known about the fundraiser. I mean how comfortable would you be asking an old college roommate or family you see once every several years? They let social media ask for them. Great idea! They also asked for old gift cards to be donated. I really liked this idea. I mean how many of us have gift cards hanging around to places we never go to or never would buy anything from. Another creative idea they had was giving kids bracelets once they had brought in $200. Children with bracelets received treats during lunch hour and recess throughout the fundraising events. So as you can see, it involved both the children and the parents. It rallied school spirit, raised money for the school, raised awareness to attract new families, and created a sense that everyone was working together for one common goal. Thank you for taking the time to read our blog Miami and for sending us information about your fundraiser. We really enjoy hearing from everyone. If you would like to see a particular topic covered on our blog, please feel free to contact us. We will contact you and allow you to approve our article featuring you before we publish it. 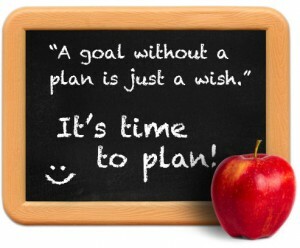 Your children can set goals for their school year. This is a wonderful way to get them considering what they wish to accomplish for the year as well as find their emphasis. Going to school ends up being such a daily incident. Help your youngsters keep in mind that the function of school is to discover. Objectives could be established for any sort of age group. From the kindergartner to the secondary school or college student, take a couple of minutes at the beginning of the school year to establish some objectives. Since I’m a mom, I can see just how much this would certainly have assisted me throughout school. Especially when I began college– I got on my very own. If my parents would have taken a seat and helped me set some objectives, I most likely would have finished college 15 years ago rather than getting back currently. Make the goals as basic or detailed as required, depending upon the age of your kid. For children, the objectives could involve making new friends, behaving in school, and getting homework done in a timely manner. As they reach junior high and high school, they could want to set a goal to try a range of classes and not just pick their preferred subjects. When your kids reach college age, help them discover their focus and select a program of study. Do not think that the teachers and consultants will do this for them. Talk with your kids about just what they like and where their strengths are. Help them think about job options based on the training courses they like. Whatever age your children are at, setting goals is a wonderful method to start the school year and get your youngsters focused. Follow through with them and see them succeed. The senior high school drop out rates in this nation are shocking. 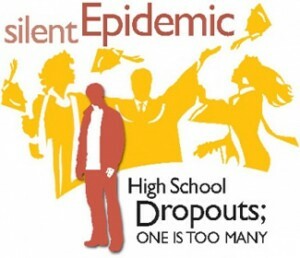 One student drops out of senior high school every 9 seconds in America. In addition, the rate at which students leave high school in between grades nine and 10 has actually tripled over the last 30 years. Include in this the fact that besides boosted joblessness, dropouts are commonly at a higher risk for drugs, gangs, poverty and teenage pregnancy and it’s clear that dropout prevention is an important problem deserving of the country’s focus. In response to the prevalent national drop out rate, the Ad Council and the United States Army are continuing their senior high school drop out prevention effort with a new interactive project called “Boost.”. Advertising and marketing for “Boost” consists of Television, radio, in-school posters, outdoor and Internet advertising and marketing, which is intended to support and motivate those who might be at risk of dropping out. The PSAs advise parents, trainers, coaches and good friends to provide struggling kids a “boost” to assist them in remaining in school and also graduate. The decision to drop out of school does not occur over night; it comes after years of disappointment and failing. Often, those that quit have actually lost inspiration and have no source of support or encouragement in school or at home. The campaign advises us that in some cases a “Boost” could imply the distinction in between graduating or leaving. The Television and radio spots feature at-risk high school seniors that are recording their struggles to remain in school by recording documentary-style videos of themselves and their friends/family. One method to aid your youngster in doing well in school may be to visit. A little involvement could go a long way, claim professionals at National Parent Teacher Association (PTA). You don’t need to invest hours at school weekly. A regular monthly visit could make a difference. Students have better attendance records. Pupils achieve greater test ratings and grades. Pupils have higher school graduation rates and are most likely to seek college. Students develop more powerful partnerships with parents. Based on National PTA poll, only one in four parents are actively involved in their kids’ education. For working parents, that number drops to just one in 9. National PTA and The Advertising Council have introduced a campaign motivating parent involvement in institutions. Via different types of media, the project motivates parents to join PTA and offers a Website to give parents easy suggestions and concepts to stay connected with their youngsters’ school and education. Below are a few means to get started:. Talk with your kid’s educator. Let her know all about your youngster’s passions and ask how you could assist finding out in your home.Plan a lunch day with your youngsters in the school cafeteria. Help your child with school fundraisers. Maybe they want to the trip and Miami Beach limousine rental for highest sales. 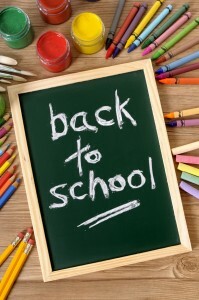 Go to school occasions such as back-to-school evening. Stay current on school plans, schedules and policies. Participate in school board conferences. Check your school’s Internet site. Talk to your child’s school therapist if you have any sort of concerns or concerns. While your child’s school may have been spared from any kind of headline-catching, fierce events, chances are that much less remarkable acts of hostility, such as intimidation and harassment, take place there each day. Many schools have programs to avoid violence and help keep students secure. Yet safety and security precautions should not quit there. As a parent, you additionally can take certain actions to improve school safety. To increase awareness of school safety and protection concerns, the National Crime Prevention Council, best known for its 25-year-old precious symbol, McGruff the Crime Dog, established the Be Safe campaign in partnership with National PTA. This effort, funded by the Allstate Foundation, Assa Abloy Group and the Security Industry Association, offers advice that parents, community participants and also teachers could utilize to help make school a pleasurable atmosphere for all kids. The National Crime Prevention Council offers the following suggestions for moms and dads. * Pay attention and talk to your youngster regularly. Communicating with your youngster on a variety of subjects associated with school, buddies and his/her passions can provide you beneficial insight. Talk with your child regarding physical violence and also how you can solve troubles. * Set an example. Show your youngster that you could settle problems quietly and nonviolently. Additionally, show your support for school rules and guidelines. If your kid feels a regulation is incorrect, clarify just how the policy could increase school safety and security. * Collaborate with others. Sign up with a parent, school or neighborhood association to review problems with physical violence in the area. Work together to locate options and means you could to provide assistance to the schools in your community. The National Crime Prevention Council provides tools for moms and dads as component of its Be Safe and Sound initiative. The “Caregivers’ Guide to Safety and Security,” for instance, describes just what parents can do to boost school security and safety. 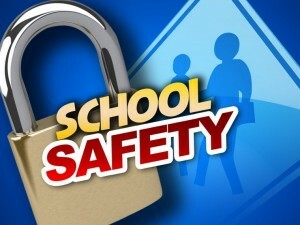 It contains a review of school safety and security and protection guidelines, an assessment checklist and advice and pointers on advocating for change at their kids’s schools. One more resource, the “CSchool Safety and Security Toolkit: A Guide for Parents, Schools, and Communities,” assists parents and neighborhood participants in working with school supervisors and policymakers to help make schools as safe as feasible. How schools fit into Public school rankings are very vital to many people. District and state authorities, principals, instructors, parents, and also pupils are all concerned, in differing degrees, in just how their schools compare to others. In a society that is significantly aiming to “keep track of the Joneses”, all capitalists in the institutions (the same individuals listed over) are frequently checking how they stand in public school rankings, and also aiming to be much better compared to other schools. Great deals of factors go into determining where an institution is positioned in Public school rankings. While the majority of the consideration is offered to examine scores– how well pupils scored, as well as the number that have actually taken advanced assessments such as Advanced Placement tests– consideration is additionally provided to factors like socioeconomic background. To be much more specific, Public school rankings are influenced by how many youngsters are getting complimentary or minimized lunches each school day. Youngsters that come from a low socioeconomic background, indicating their households are at or listed below poverty line, often participate in institutions that are off– and are in the reduced end of Public school rankings. It’s not suggested, whatsoever, that they are selecting these schools. Maybe they have no other options; it’s simplest for their parents to send them to the closest institution to home due to the fact that they are working several jobs to make ends meet. It’s additionally possible that moms and dads don’t know that they have choices in where they send their children to school– and could discover better ones by considering Public school rankings. Households that are merely struggling to survive may not have school as a leading priority. They possibly do not understand that Public school rankings also exist and are readily available to them; they are too active living everyday to also look into Public school rankings. Often, moms and dads at this reduced degree of income are themselves undereducated, and just do not know that there are far better instructional opportunities around which are identified by their positioning in Public school rankings. As a matter of fact, because of the 2002 No Child Left Behind Act, as well as the 2007 reauthorization of that Act, parents of pupils who are attending low-performing schools at the bottom of Public school rankings have the right to withdraw their kids from claimed schools and enlist them in places that get on the top in regards to Public school rankings. It is definitely to the benefit of all parents, whether they are below poverty level or at the more affluent end of the spectrum to think about Public school rankings whenever they are making decisions about which institutions their children will attend. It is a decision that can have long-reaching, indeed life-altering results. School can be impossible to manage when your youngster hates to be there. It can be a battle everyday to send your child off to school. Exactly how do you handle a trouble like that? 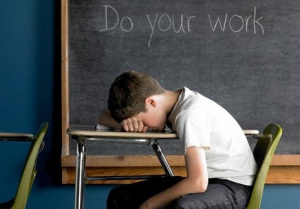 You initially need to discover the reason that your child is dreading school. The problem might be something that is conveniently fixed. If there is one kid at school that is triggering issues for your son or daughter, you can talk to the instructor or principle to aim to resolve it. Moving your child’s workdesk away from the other kid may minimize the problem, and even changing educators. You, as a moms and dad, have to decide if a change in your kid’s perspective can help or if another thing is required. If your kid doesn’t have any sort of close friends at school it can be truly difficult to head to school every day. When your kids are in elementary school you could be an influence on your youngsters and prepare a play time for your kids– welcoming various other youngsters over. Becoming associated with their school day permits you to help volunteer and see just what is happening in the classroom. This viewpoint could help you find the issue that your kid is having and suggest some options to try. Ideally, volunteer your time to help the teacher. If your kid is having problem with a specific topic you could give them the assistance they need. Whatever the source is for their trouble in school, locate a means to help them to fix it. Transform school time into a positive encounter to ensure that they will enjoy going there. Kids learn a lot better when they appreciate exactly what they are doing. It seems that when our kids are in the primary grades, parental involvement in their daily school tasks is simple. Going to PTA meetings and school plays, working as homeroom mommy, or even assisting with research tasks keep us connected to school life and help us keep a close watch on our youngsters’s progression. But for most moms and dads, as their students progress through school the surveillance of their schoolwork and tasks becomes a little bit more complicated. When the kids get to jr high and high school, they have a number of different educators and the scholastic needs come to be advanced. There are also fewer tasks that draw parents into school life at this degree. Teenagers end up being seemingly more independent, meaning they don’t require (or want) us as much, they become mobile, and all of a sudden it comes to be increasingly harder to stay up to date with exactly what is taking place in their lives, both academically and socially. In my 29 years of teaching senior high school maths I, like the majority of instructors do, witnessed varying degrees of successful parenting of high school pupils. Of course, there are lots of variables involved in each individual proceedings. Adolescents are extremely one-of-a-kind creatures; what helps one may not work for one more. One teenager might be an extremely successful student despite having little bit, if any, adult assistance. 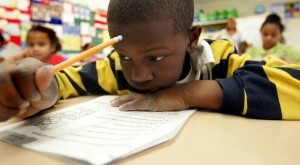 Another may have parents doing “all the right things” and still endeavor into areas that are harmful to their success. However the one typical characteristic that I observed amongst the majority of effective secondary school pupils was that of continued adult participation during the high school years. In doing some substantial research on the subject, I found research study after study that suggests that adult involvement in teenager education is directly pertaining to boosted achievement. So, what exactly do we mean by adult involvement? We don’t mean helicopter parenting. What type does it take during the high school years? In fact, it could take several types. Participating in school programs, constant communication with teachers, monitoring of schoolwork, responding to requests from the school for interaction, and taking an active role in your teen’s preparation for the change to life after senior high school are important parts of what adult participation needs to include at the high school degree. The structure of the majority of school systems appears to be regularly changing, often with great results and often not so great. This instability deems it virtually required that moms and dads take charge of their kids’s education and learning. Even the best of institutions may have overloaded instructors and too few resources. Parents need to take a pro-active duty if they desire their child to be a successful pupil. Not incredibly, this is equally as vital throughout the secondary school years as it is at the elementary level. Increased adult participation gives the most effective structure for a successful start to the school year. * Meet the educators. Tell teachers your youngsters’s interests and pastimes. Make a date to visit educators’ class; don’t await Back-to-School Evening or parent-teacher conferences to open the lines of interaction. Supply educators with your telephone number and e-mail addresses. * Learn more about all the institution employees. Whether it’s the librarian, school counselor, nurse, snack bar employee or bus driver, school support experts usually understand all the students in the school, and their partnerships with your youngster will certainly proceed from year to year as your kid moves from one grade to the next. * Sign up with the PTA or various other parent groups. As a group, take part in school events and see just how you could help the school reach its objectives. * Check in day-to-day with your children. Review exactly what they learned in school, determine established times for homework and reserve time to read with them-even if it’s simply for fun. * Examine the school’s Internet site consistently. See to it your youngsters are learning what they need to understand to satisfy the requirements set for their grade level. Many schools supply class timetables and research products online for parents to watch. There are several different methods you have to prepare your youngster for school, including mentally, emotionally, and physically. 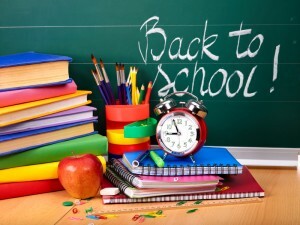 Whatever the age, there are particular things that you have to prepare for them to start school. If your youngsters are like mine are, they have spent the summertime with long nights and late early mornings. Now that school is almost here, it’s time to move back to an earlier routine. If you have older kids, this could be more difficult as you have less control over their schedule. But for younger ones, start preparing three weeks before school starts by moving their bedtime up by 1/2 hr, and their awaken time up by 1/2 hour. After that the following week, move it up once more. Continue this up until your child is resting and waking throughout the very same hours they will be when school starts.